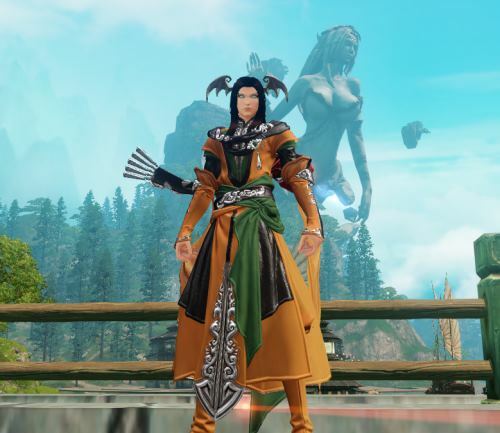 Revelation Online has recently entered Open Beta version which has had a surprising result in how many of the game’s features function. Starting out, there are now many translations that were absent during the closed beta, and some of the cut scenes are now voice acted in English. To me, this is a pretty big deal since the closed beta had many problems with translations and none of the scenes were in English or even subtitled. Since launch, they have focused on fixing up many of those scenes with subtitles at the least. This shows they are proceeding in a slow but positive way toward fixing all of the past problems the players have noticed and complained about. The main thing holding back the devs seems to be their constant battle with the gold-seller bots which have proven to be very persistent with them. They’ve gone so far as to hack the website and steal player’s accounts just to put passwords on their banks, but they were quick to fix anyone’s account affected by this. Overall, the game seems to have shown quite a bit of improvement since the end of the third closed beta. Let’s start with the differences that I’ve noticed from playing in both the closed and open betas. First off, there have been some great improvements on localization and the translations of many of the features that were previously not localized to English. Some of the most noticeable changes with this are the English voiceover for helpful tips that are played throughout the first 30 or so levels in the game. This has become quite helpful comparing to the un-dubbed versions that I couldn’t understand. I have actually learned several new ways of doing things because of this. Next up, there have been some changes to many of the skills, from tool tips to their names and even their function in some cases. The changes have caused a little bit of confusion, but they have made the effected classes better because of them. More recent fixes are along the lines of system improvements, such as dungeon ques and auction house functionality. They have also made steps to fixing the adventure board quests which can provide players with a way to make small amounts of unbound currency which should prove very helpful to free players. There are new features that were previously unavailable such as Mentoring and Marriage. Once a player is 49 or higher in levels, they can choose to mentor lower leveled players to help them out in many ways like running them through dungeons or just questing. 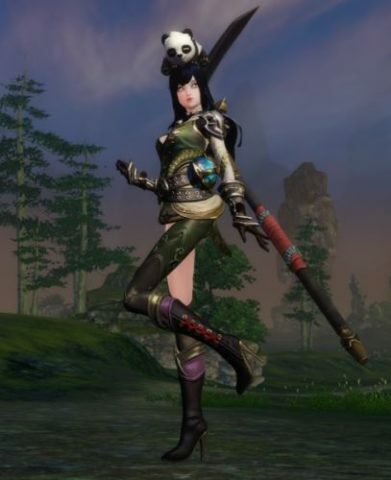 The apprentice will receive an outfit and extra experience while the mentor will receive several other benefits that will help them get their gold equipment after level 50. Marriage is also now working with full English dubbed cut scenes for those involved. I married my character to my partner’s and the scenery was quite beautiful! I can say I was impressed with the ceremony and how it played out. When the developers announced they were entering open beta after just 2 weeks after the end of closed beta 3, I had my concerns. During the closed beta, there was a lot of crashes, lag spikes, terrible game world glitches and several instances where I got stuck into the ground because of wacky auto-pathing. With that in mind, I expected much of the same in the open beta, as 2 weeks is not a long time for fixing things. To my surprise, the servers are actually pretty smooth overall. There is still some crashing, albeit rare, but most of the problems are fixed. I have run into glitches a few times as well, where I would be stuck inside of rocks or floating in mid air. Quite hilarious, but a simple teleport fixes those problems. They seem to be slowly improving on stability and other problems loading game world NPCs and terrain. Other players have experienced these errors as often as they did in closed beta, but I myself have not had many encounters with such issues. I do however, have a bit more lag than during closed beta, probably because of the increased number of players. So, how do the servers hold up one might ask? I play on the most populated NA server, Darkfall, and it has minimal lag and has been stable since day 1 of allowing free players to enter the game. I’d say, it’s holding up pretty well when comparing to other MMOs first few days after launch. Even a month after the launch, with the population growing ever rapidly, the servers are still holding up pretty well with very little problems caused by the load. On day 1, Sinnistar the Vanguard, was born! I decided to keep to my original appearance and name (fighting launcher problems to make sure I got the name). Early on, the launcher decided it didn’t want to allow me access into the game, but after a couple of hours and a 3 hour delay on the dev’s side, I was finally able to create my favorite Vanguard! After the creation process, I entered the world only to notice my clothes had mysteriously vanished! My armor had decided to not load in, as I stood there naked with all the other players who dallied about the newbie zone. I stood there waiting for it to load in, and even tried removing my armor and re-equipping it to no avail. After a short while, I decided to move on anyway and proceeded to talk to my least favorite NPC, Aria! From there, I continued to rapidly advance until I reached level 50 where I previously left off in another life, in closed beta. During this entire journey, I noticed many of my quests were still not understandable and most of them still gibberish with no real plot or point other than experience. It seems little effort was put into fixing the more pressing issues, but they did fix things like the “back” button being labeled wrong as “ago”… as the greatest day of my life seeing that fix! *totally not sarcasm*. Needless to say, I’ve progressed since that patch clear through level 65’s content, finished the main storyline, and have found much more content to enjoy on a daily basis. The story ended at level 55, and I was quite surprised at the outcome because it ended in an epic fight against two majestic beings. Even though the cut scene was a bit…odd…since none of the characters looked like they do naturally in the game, it was still a great ending to the story! After level 60, I was able to join in on 3 more 10 man raids and 2 of those could be 20 man raids as well. These have proven difficult at times, being the main tank and all, but with my guild Relevent, I was able to tackle them quite easily. Conclusion, Is it worth playing still? In my opinion, it is still worth playing. This doesn’t go without saying the game has problems though. The devs have seemed to avoid focus on the most dire glitches and game breaking bugs (such as demonslayer rank upgrades for the Occultist class, still not translated so it’s a guess and check with over 36 possible answers… takes a while to get the right answer when the question changes every attempt). You can still fall through the ground, get stuck in the air, and even get killed while standing in a safe zone for no apparent reason. These glitches can easily be game breaking, and they’ve existed since closed beta 1 several months ago. The only way to fix these, if you can’t teleport out of it, is to relog and be forced to wait 3 minutes for your account to time out so you can log in again. With that said, the game is stable, and it is slowly getting the fixes it needs. With the first major update just over the Horizon, they promise that several larger fixes and localization fixes are coming with it. Whether or not this will be the most needed fixes is still unknown. 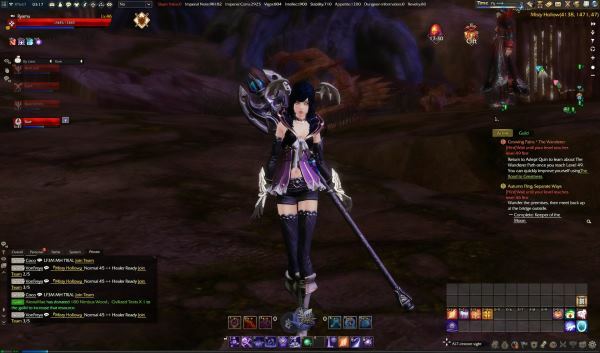 If you have patience, and can bare with the lag that may present itself from the mass population of the game, then you should definitely try out Revelation Online! I have enjoyed every moment of it, and playing with my guild has provided a lot of entertainment during the glitches that we run into and I’ve managed to get all the way through level 65 in content.